If you’re a weekend hiker, Washington offers an embarrassment of riches, from the mountains to the coast. Not in a mountain mood? Here are some local options for taking in ocean views while getting your steps in. Some days, you want to hike in the mountains. But in Washington, it’s just as easy to find a hike along a beach, which is exactly what my husband and I were looking for on a recent weekend when we jumped in the car and headed for the coast. Olympic National Park’s gorgeous northern beaches get a lot of attention — rightfully so — but lesser-known beaches farther south are easier to reach and explore, even on a last-minute day trip. They’re also close to the comforts of civilization, including museums, restaurants, and family-friendly attractions. 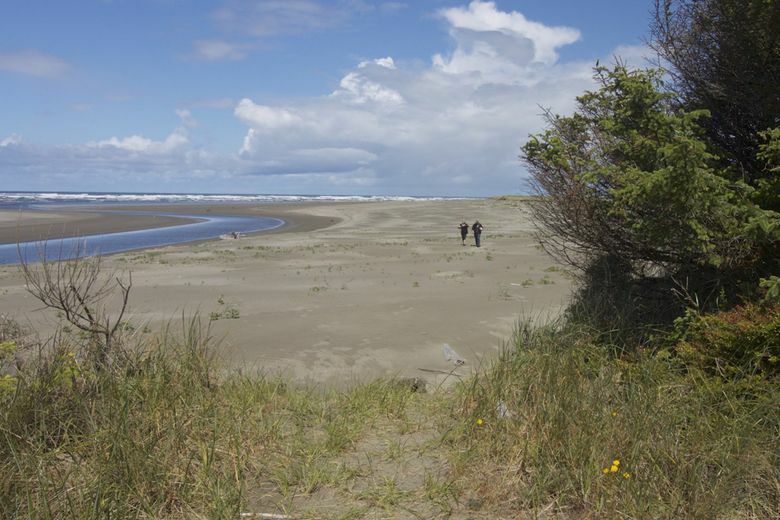 Our choice: the Copalis River Spit, in Grays Harbor County. Autumn to spring, this wide stretch of nearly level sand is a highly prized clam-digging beach. But clamming season closes in summer, so the beach was nearly empty when we visited, despite sunny weather. If you head south from Griffiths-Priday State Park, you’ll eventually find a bridge that crosses the Copalis River into a more populated stretch of beach lined with low-key campgrounds and RV resorts. We went north to the wilder side, hiking about a mile among undulating dunes skirting Conner Creek, which parallels the river. The sandy path led through a surprisingly diverse forest of evergreens, plus multicolored native brush and berry plants. We saw and heard plenty of birds, including red-winged blackbirds. Eagles are also sometimes spotted in the area. The Copalis National Wildlife Refuge is at the southern end of the Washington Maritime National Wildlife Refuge Complex, which stretches all the way to Cape Flattery. The refuges are largely made up of rocks and islands offshore, but it’s easy to see why birds love this stretch of mainland, too. The trail dropped us off at the beach, and we continued north on flat sand. At low tide, you can hike at least a mile or so to another river and headland, but you’ll need to check the tides ahead of time to make that trip. 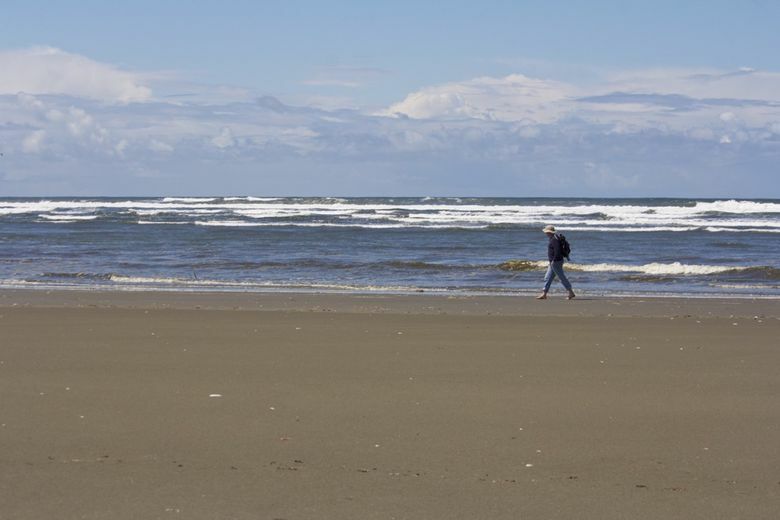 Except for a few people walking in the distance, we saw almost no one — a sharp contrast to the crowded beaches to the south in Ocean Shores, which allow cars. After a while, we started wishing we’d brought a bag to pick up some of the trash along the beach (always a good idea). The beach eventually yielded a sturdy plastic bag poking out of the sand, so we gathered up bottles, cans, and other tattered tidbits on our way back to the car. Based on the detritus’ labels, we guessed that some of it had come all the way from Japan. We later discovered that the Museum of the North Beach up the coast in Moclips has a display of artifacts from the 2011 Japanese tsunami. Hungry and windblown, we grabbed lunch at Ocean Beach Roasters in Ocean Shores, a little cafe with possibly the friendliest service I’ve ever encountered as well as the most generously frosted cinnamon rolls. 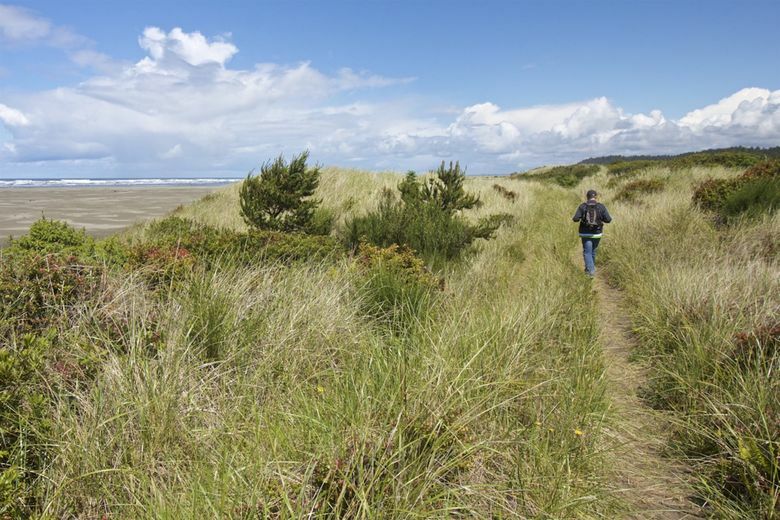 Willapa National Wildlife Refuge is full of short walks, many easily accessible to kids and folks with limited mobility. Grab a map at refuge headquarters just off Highway 101 and hit the easy Willapa Art Trail’s half-mile boardwalk and the slightly more challenging connecting quarter-mile Cutthroat Climb. Sculptures and interpretive trail markers depict wildlife you may see out among the reeds, trees and shrubs that grow beside channels carved by tides. Listen for birds and frogs. The paved sidewalks running between Westport Light State Park and the town of Westport make for another kid-friendly spot. Take a leisurely walk among the grass-covered dunes on the Westport Light Trail, about one mile each way depending on where you start. Wander out onto the long rock jetty. $5 gets you into a guided tour and a trip to the top of the restored Grays Harbor Lighthouse, Washington’s tallest, complete with original Fresnel lens. (It celebrates 120 years on June 30.) The nearby Westport Maritime Museum has even more information about the lighthouse. The Kalaloch area along Highway 101 is a popular stopping point for Olympic National Park explorers. Park in the campground day-use lot and hit the sand. Most of the four-mile walk to Browns Point is along the beach, so your best bet is to check the tides before you go. While you may spot a few fellow beachcombers near the Kalaloch Lodge, the farther away you get, the more you’ll likely have the place to yourself. Check out big driftwood burls, exposed cliffside tree roots, and countless giant logs perfect for picnics. On the other side of the road, the Kalaloch Nature Trail is a short 0.8-mile round-trip walk into primeval forest. Christy Karras: on Twitter: @christykarras. Christy Karras is a writer and editor, specializing in travel and the arts, and the author of books including “Motorcycle Touring in the Pacific Northwest.” Since she is always seeking lovely vistas, intriguing people, new adventures and tasty beverages, Seattle is a perfect home base.